Terrorists-for-hire have created a weapon that can induce earthquakes and cause dormant volcanoes to erupt. One terrifying side-effect of the weapon is that prior to the devastation, the vibrations drive ordinary people to suicide and violence. A wave of madness begins sweeping the country beginning with a mass shooting in Congress. 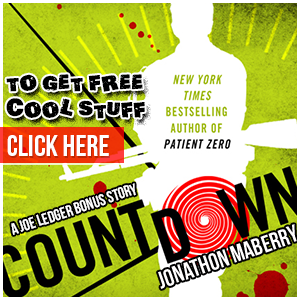 Joe Ledger and his team go on a wild hunt to stop the terrorists and uncover the global super-power secretly funding them. At every step stakes increase as it becomes clear that the end-game of this campaign of terror is igniting the Yellowstone caldera, the super-volcano that could destroy America. 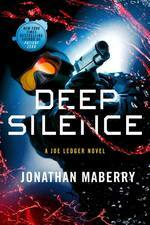 From the Publishers Weekly review of DEEP SILENCE: "Effortlessly blending cutting-edge science fiction, military action, and Lovecraftian horror into a memorable synthesis, Maberry delivers a story that starts strong and doesn’t let up until the end."